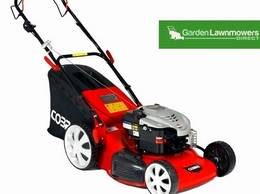 We offer over 200 top brand products within the UK.We sell a full range of garden machinery. We have 40 years of experience within the garden machinery business and the expertise to delivery excellent service. 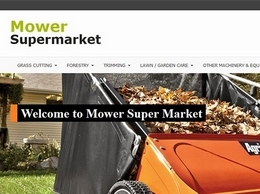 Lawnmowers, hedgecutters, brushcutters, blow/vacs, shredders, tillers & garden machinery for sale. FREE delivery/Pre Delivery Inspection. Buyamower UK. David Dixon Garden Machinery supplier to the Northumberland and the northeast. Stocking a range of lawnmowers, ride on's and chainsaws. We stock a wide range of garden machinery including lawnmowers, garden tractors, chainsaws, brushcutters, hedgecutters and can give expert advice on the correct machine to meet your needs. 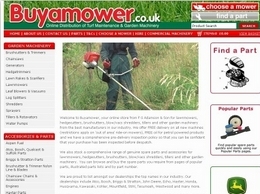 Lawnmwoers UK is a specialist garden machinery retailer, based in Gloucester, with full service capabilities. Seddon Direct are one the UK's leading suppliers of Lawn Mowers and are able to supply mowers for domestic and commercial use. Our mower drive types include: Push Mowers, Self-Propelled Mowers, Hydrostatic Mowers, SmartDriveMowers and Hover Mowers. World Of Mowers has been established and retailing high quality garden products, parts and service for over 10 years supplying, supporting servicing and maintaining hundreds of products for thousands of satisfied customers. Establish in 1957, William Young sell mowers, genrators, strimmers, chainsaws and much more. We also provide ironmongery and welding services.